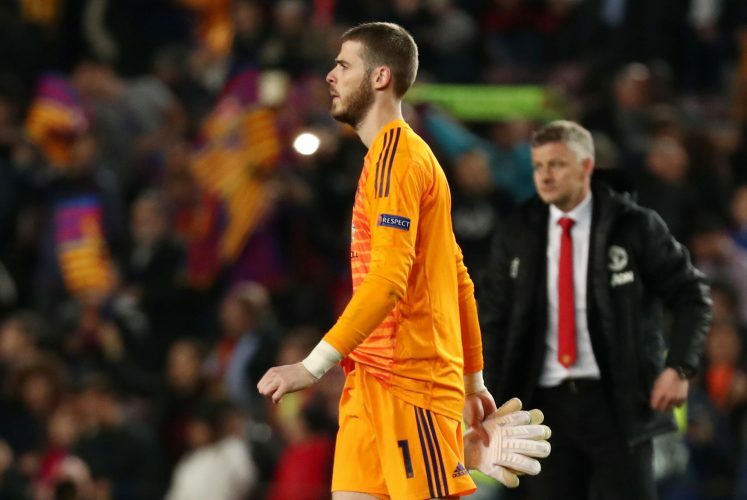 Manchester United goalkeeper David de Gea wasn’t at his best against Barcelona in the second leg of the UEFA Champions League 2018-19 quarter-finals. The Spaniard made a big mistake, which allowed Lionel Messi to score his second of the game. It was a night of mistakes for United, who were knocked out by Barca at Camp Nou. The Spanish side won the match 3-0, with a 4-0 aggregate score. Ashley Young gifted Messi possession for the first goal, and then De Gea and Smalling were culpable for the two other strikes. De Gea has been United’s best player for the last few years. But this season, his form has gone awry. It was an easy let off by a keeper of his standards. United’s 2017-18 Player of the Year fumbled the Argentine’s tame side-footer into his own net in the 20th minute. That killed the confidence of the team, as it effectively killed the tie. Red Devils’ manager Ole Gunnar Solskjaer was asked about De Gea’s performance after the game, to which he replied: “That’s unfortunate with goalkeepers. When you make an error it can get highlighted and that’ll be remembered tonight. There are whispers that the famed goalie has lost concentration and focus at United in relation to a protracted discussion over a new contract.